The winter of 2013/2014 was a really great waterfowl season in this area. The winter of 2014/2015 has been pretty dismal. There sure isn't much out there to look at. Things can change quickly; you never know. But, right now the waterways are pretty much devoid of duck life. 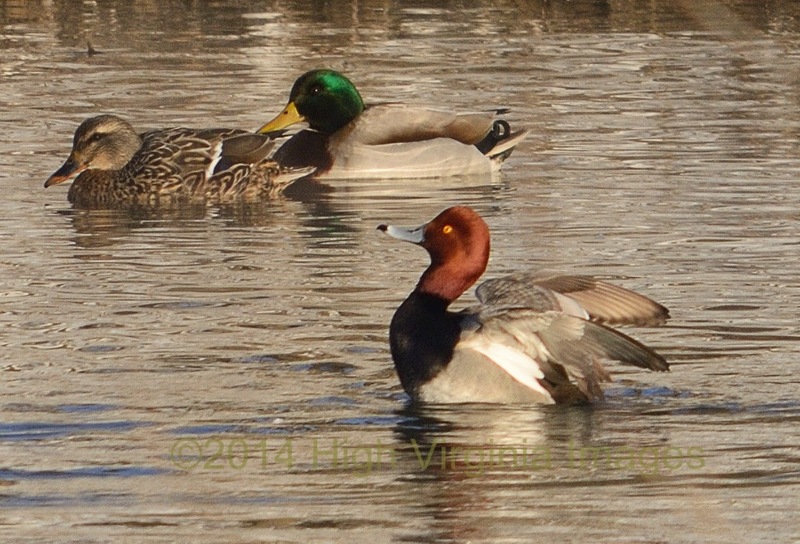 There isn't much to see other than the resident Canada Geese, Mallards, Cracker Ducks and the occasional Bufflehead. There just isn't much to get excited about. There isn't much in my yard, either. The juncos show up when they see a snowflake. But, they seemingly stay over in the clear-cut most of the time. My Pine Siskins have moved on and I have a couple of Fox Sparrows. That is just about it after you take the goldfinches out of the equation. Yep, we need something new to look at. Bring on the Ducks. You know that I feel sorry for all of the morel munchers out there. You just don't realize what you are missing out on. I guess it just falls into the category of doing what is reasonably easy and never straying from the norm. Kinda like opening day deer hunters, turkey hunting on Uncle Bill's farm and birdwatching on the Nature Trail. results are pretty much predictable and pretty much the same. Over and over and over. Never do anything new. Yep, I'm having fresh Oyster Mushrooms right off the stump and some filet minion right off the carcass. The date is 12/14/14 and I'm in the infertile, gloomy and cold environs of Randolph County, WV. Some of you believe that I spend a lot of time searching for all of this stuff. The reality is that most of the things I find are on hour long dog rides. Yep, the only thing that many need to upgrade their quality of life is the ability to see and observe. Nope it will not hurt you one little bit to learn to look and see. Month twelve, Yuk. Cold, gray, brown and white. Here we go again. I have noticed that as we get older years tend to speed up in their passing. Still, it seems as if some weeks can last forever. Think back to January; did you accomplish everything you had planned on doing? Well, you’re about out of time. I know that I am. I know that I had planned on fishing once per week from January until deer season. That sure didn’t happen. It wasn’t fit to go until April; but I did manage to get out more times than I have since 2007. I guess I can get some partial credit for that. Morel season came and went; I found a couple in my yard. That was it. Ramps and asparagus season was very good and then it was garden time. I got everything out and it seemed fine, by then it was fly-fishing time. July rolled around. Clouds, clouds, clouds no sun; tomatoes died. 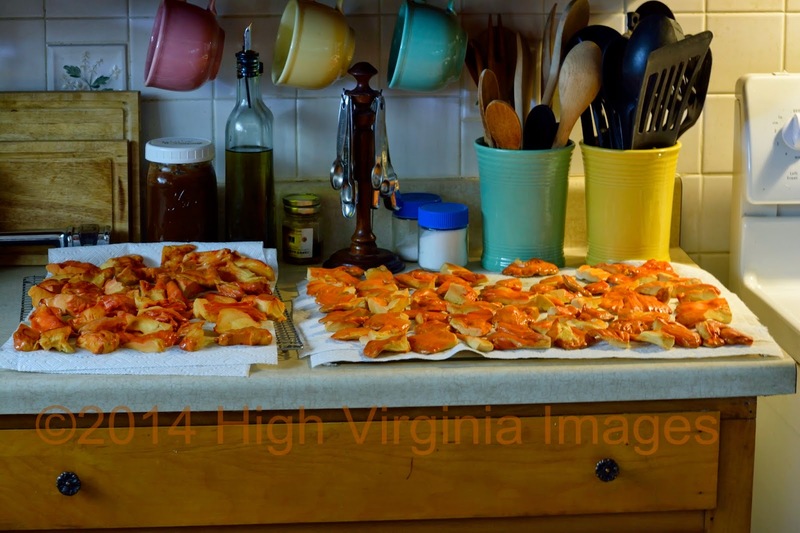 I still had big plans for a truckload of chanterelles. I might even have some to sell; if all goes well. It didn’t. I never told anyone about this; until now. I found a massive patch of chanterelles in early August of 2013. They were probably 95% too old when I found them. I had big plans for this patch when July rolled around. The first trip I made over there to check them out was a total bust. Nothing was up, yet. I figured I was just a bit early. Two more trips and about eighty dollars’ worth of gas later; I picked a grand total of 3 chanterelles. You just cannot trust fungi. Lesson learned. I can always count on getting my fill of Chicken of the Woods in early September. Not this year, I can’t find any. Things change. It is now late September and I’m finding chickens every time I take the dogs for a ride. Suddenly, I now have a surplus of those beautiful orange things in the freezer to brighten the winter. Yep, you can’t trust fungi. I had never before found any after the 8th or so of the 9th month. If you give up the search; you are guaranteed to never succeed. I found my biggest all-time Shaggy Mane patch in early October and ate shaggies until I didn’t want anymore. Mid-October brings my thoughts to migratory birds. Not shooting them, just observing. I love finding to ones that most people don’t even realize stop by and visit. Nelson’s Sparrows and Marsh Wrens were very cooperative. I even got glimpses of the elusive Sedge Wren. My goal for the month was finding a Sora in Randolph County. The dogs and I slogged and slogged through the cattails with no success. But, I did find the first for county Marsh Wren. 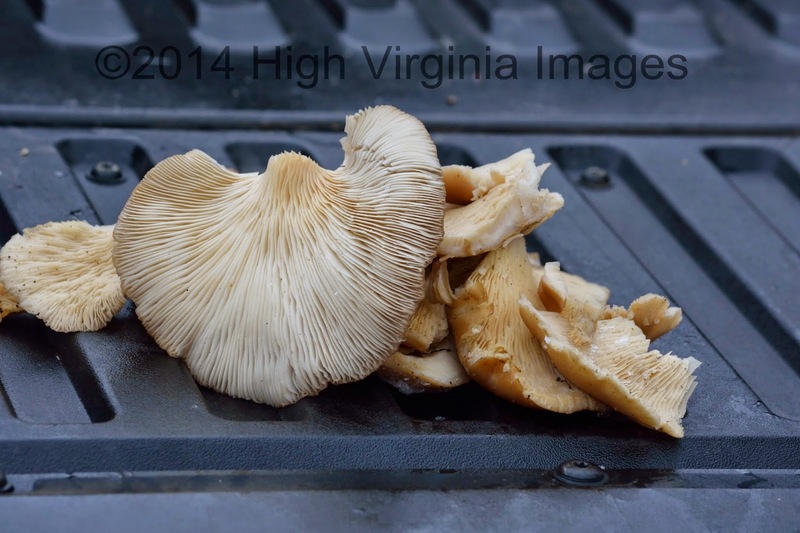 Yesterday,I was fortunate to pick and consume my first West Virginia December Oyster Mushrooms. I had been watching them for a couple of weeks. It took them quite awhile to get big enough to pick. They were really waterlogged at one point last week. That did not seem to hurt them at all. When I picked them they were covered with ice. Their texture was just as good as if they would have been picked at a somewhat more normal time. 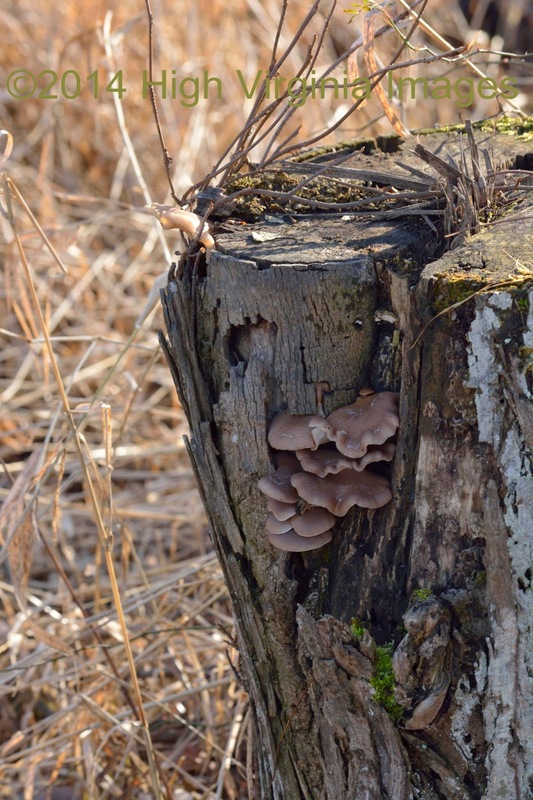 I have also picked Oyster mushrooms when they were seemingly dried out from the sun. They reconstitute just fine when cooked and always seem to retain their flavor. This just goes to show you that you will never find anything; if you don't look.